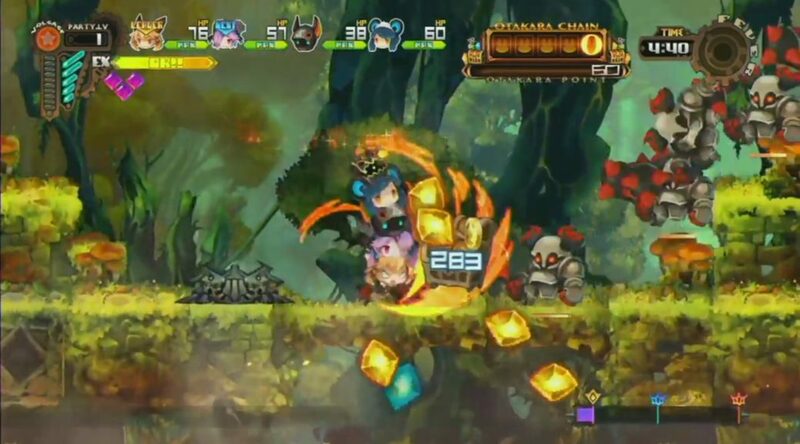 Today, Nippon Ichi Software gave a detailed preview of Lapis X Labyrinth – a wacky loot-based RPG with stackable heroes. The live demo showed off quite a bit – such as menus, combat, and character setup. So far, it looks promising. The game about hunting treasure and surviving financial turmoil releases November 29 in Japan. Meanwhile, western players will have to wait until 2019. Check it out below (from 1:40:27 to 2:12:34). What is Lapis x Labyrinth? A small village in a small kingdom has been hit with some tough financial times, thankfully they are sitting on a whole trove of treasure! Dive into the Labyrinth atop a forest that shimmers like gold in search of beaucoup bucks with your customized crew of adventurers! Using the creative stacking mechanic you can flip between up to 4 adventurers on the fly and deploy their individual attacks while keeping them all on top of your head! Go for the glitz and glamour, strike with the blitz and hammer!